Usually, the best Zelda articles can be found on fan sites devoted to Zelda, and if there are articles on larger gaming news sites, often they’re very bloggy, and about a singular person’s expirience with a game. This article is no exception, but I think it’s successful because it represents a journey that lots of Zelda fans went on with The Wind Waker and the graphical style that came with it. 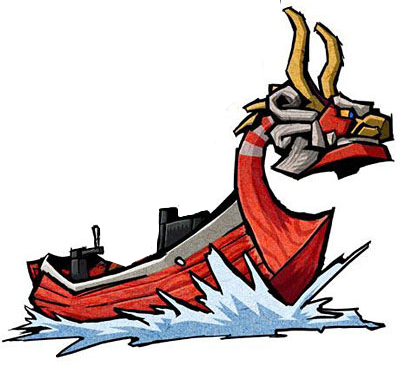 Probably the biggest hindrance to Wind Waker’s official debut was the discrepancy between what was shown one year and what was revealed the next. The demo footage we had seen at Spaceworld 2000 had led us to expect a certain level of realism from the next Zelda release, and what we got was hard to swallow given our lofty expectations. It didn’t even matter that we hadn’t played Wind Waker, and that all we’d even seen of it was less than a minute of beta footage. Hadn’t that original Spaceworld demo meant anything? It was supposed to have been a promise to the fans—an unwritten one, perhaps, but a promise nonetheless. It was everything Zelda on the Cube should have been. Most Zelda fans agreed: Nintendo had wronged us, we were sure of it. There was no possible way that whatever this new game was would be any good at all. The author’s story may be a very personal one, but I think that it’s a story that everyone was a part of. Again we are experiencing the tension, this time we’re waiting to see if Skyward Sword can live up to the great titles that have come before it. Let us know your thoughts on the article in the comments. When it was released, were you a fan of The Wind Waker’s graphics?